Come learn about the local and global food movement in your community! Including speakers from GRuB, an Olympia based group dedicated to inspiring positive personal and community change by bringing people together around food and agriculture. And the Olympia Food Co-Op , a community resource that practices and promotes nutritional awareness, local farming and production, environmental responsibility, social and economic justice collective management and consensus decision making. 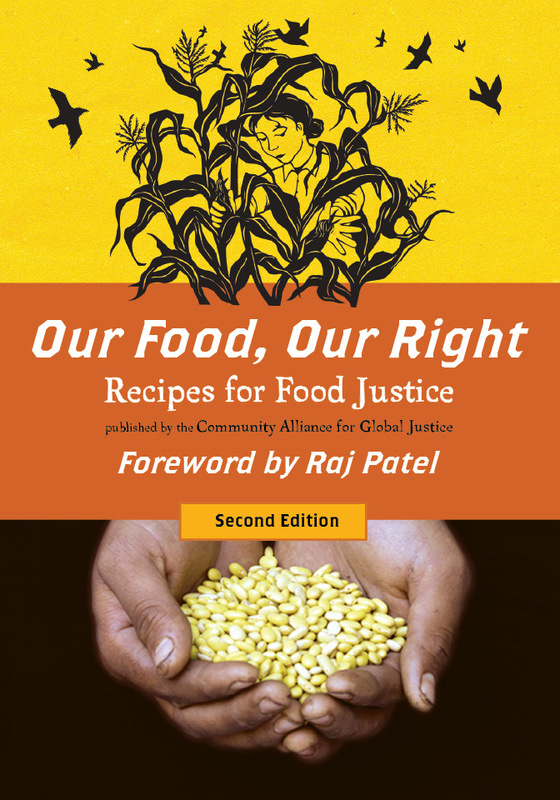 Also hear readings from the authors of CAGJ’s newest publication Our Food, Our Right; a book that promotes community knowledge sharing, self-sufficiency, accessibility, food justice and food sovereignty. “Farmers at the Table, Connecting Food and Trade Justice” read by author Kristen Beifus. Share the Facebook events with your friends! 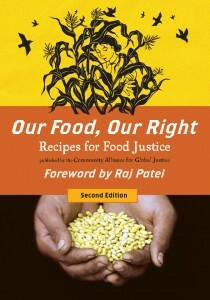 Posted in Food Justice Blog Posts, News and tagged book reading, Our food Our Right.